Dr. Ellen Smith of DeKalb Medical Physicians Group will join us for a discussion regarding the best ways to stay healthy as the temperature rises this summer. Ellen Smith, M.D. recently joined DeKalb Medical Physicians Group North Decatur Primary Care. 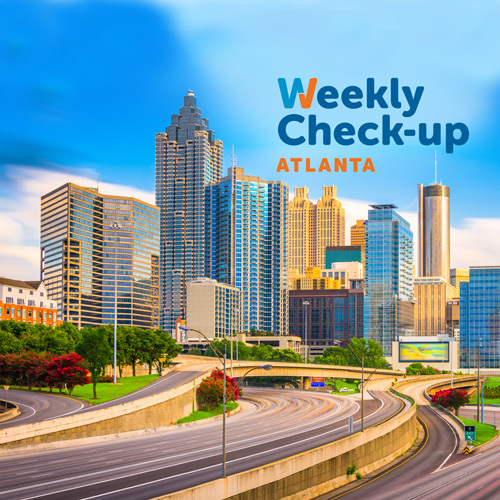 Prior to joining DeKalb Medical, Dr. Smith practiced at the Atlanta VA Medical Center in Decatur, Ga. She is board certified in internal medicine and holds a membership with the American College of Physicians. 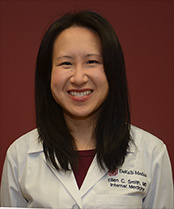 Originally from New York, Dr. Smith moved to Atlanta to complete medical school and her residency at the Emory University School of Medicine. Dr. Smith approaches patient care using a whole person care approach. She takes a special interest in providing preventive care and chronic illness management. She is accepting patients ages 18 years and older and provides extended office hours to her patients from 7:45 a.m. – 5 p.m. Monday, Tuesday, Wednesday and Friday.